A first for St Pats! History was made today when our first All Girls football team represented our school at a blitz in Greystones. 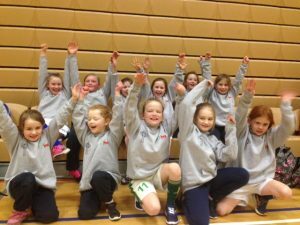 The girls played six matches against Gaelscoil Ui Cheadaigh Bray, St Laurence's and Greystones Educate Together. The girls were fantastic and were great representatives for our school. Above all they had a great time. Well done girls, hopefully this is the first blitz of many!